High mountains are deadly. There were a lot of legendary Polish mountaineers who lost their life in the mountains. But others are not discouraged by any means and still go on climbing expeditions. E.g., Tomasz Mackiewicz. He had always dreamt about reaching Nanga Parbat in winter time (killing conditions), tried 7 times and always failed. Today, he is dying high in the mountains because he can`t climb down due to exhaustion, frost injuries and snow blindness. The Polish rescuers are unable to reach him. They managed to save his French female partner, though. The rescue operation which turned partly successful is described by experts as sth unbelievable. He is going to die on a mountain that he loved so much. RiP. WARSAW (Reuters) - After an exhausting night ascent a rescue mission found the French mountaineer Elisabeth Revol on the slopes of Pakistan’s treacherous “Killer Mountain”, but a Polish climber who had been with her remained missing, Poland’s winter climbing team said. Revol and her climbing companion, Tomasz Mackiewicz, had called for help on Friday from about 7,400 meters up Pakistan’s second highest peak, the 8,126 meter (26,660 feet) Nanga Parbat. A team of elite Polish climbers, who had been attempting the first winter ascent of the nearby K2 mountain, rushed to try to rescue them. “!!! Elisabeth #Revol found !! !” the Polish winter climbing team said on Facebook. Ludovic Giambiasi, Revol’s partner, wrote on Facebook that two team members would descend with Revol after resting in the open for a couple of hours. They were not able to find Mackiewicz, he said, and would have to leave without him. Pakistani military helicopters buzzing over Nanga Parbat had spotted Revol at about 6,700 meters during daylight on Saturday, a Pakistani official said. Russian climber Denis Urubko, who has dual Polish citizenship, together with Polish climbers Adam Bielecki, Jaroslaw Botor and Piotrek Tomala were then dropped off by the helicopters at about 4,900 meters, from where the first two began their ascent. A helicopter organized by the Polish Embassy in Islamabad will carry Revol and her rescuers to the Pakistani town of Skardu on Sunday, if the weather allows, Giambiasi wrote. Masha Gordon, coordinator of a crowdfunding campaign to finance the rescue, was thrilled that Revol had been found. “We are crying from happiness,” Gordon posted on the GoFundMe rescue page, which showed nearly $100,000 had been raised by Sunday. Pakistan rivals Nepal for the number of peaks over 7,000 meters (23,000 feet) and is considered a climbers’ paradise, but fatalities are also common. Nanga Parbat obtained its “Killer Mountain” moniker due to the high number of lives it has claimed. In June a Spanish man and an Argentinian perished in an avalanche while trying to scale its peak. The first successful winter ascent of the mountain was made as recently as February 2016. 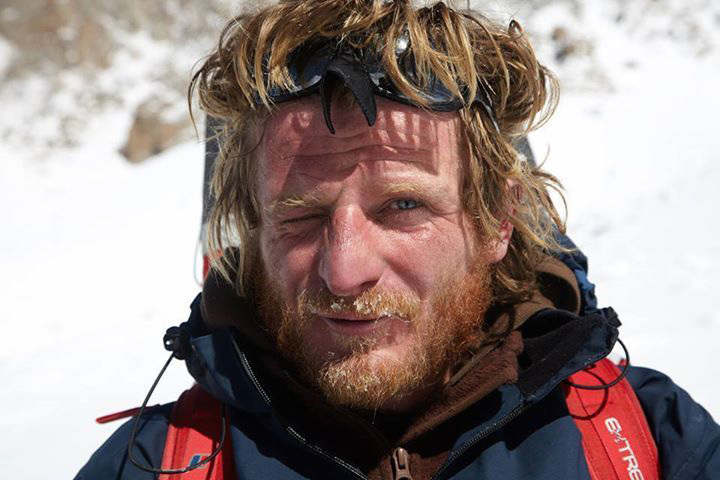 Mackiewicz had made six previous attempts to scale Nanga Parbat in winter.